This week, we came across an article from our friends at AutomotiveFleet.com that presents Mazda & Hyundai as the two vehicle brands with the lowest overall maintenance cost. 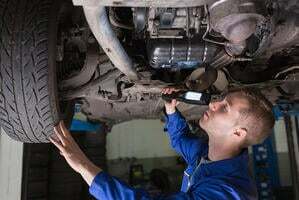 The parameters used come from CarMD, a diagnostics solutions provider that annually publishes a Vehicle Health Index Make and Model Reliability Rankings document. Their 2018 edition analyzed data from over 5.6 million in-use vehicles, statistically measuring check engine failures and overall repair costs on all models that were on the road from October 2017 to September 2018. As Automotive Fleet describes in their article, Mazda was rated as the brand with the lowest overall repair cost, while the Hyundai Tucson was rated as the specific vehicle with the lowest overall annual repair cost. To find out more, click on the link below. And, as always, stay safe & buckle up! Article from AutomotiveFleet.com ⇒ Click here!